fabulous motherhood: Barney Live Musical Show, KL 2012.. The purple dino come back again!! THE LITTLE BIG CLUB LIVE IN CONCERT stars all your favorite characters, in one fun, song and dance, musical show! 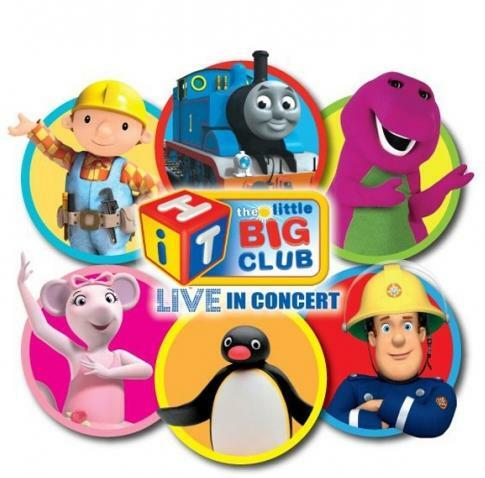 Featuring a cast of 14, THE LITTLE BIG CLUB LIVE IN CONCERT brings the loveable, huggable BARNEY, along with his dinosaur buddies, BJ, BABY BOP and cousin RIFF. Joining Barney and his dino friends in this 90-minute stage show (including interval) are the much loved BOB THE BUILDER, WENDY and SPUD, ANGELINA BALLERINA and her best friend ALICE, PINGU, FIREMAN SAM and his sidekick NAUGHTY NORMAN and THOMAS THE TANK ENGINE, all in one fantastic line up! Kids and families will enjoy many of their favourite songs, including “Colours All Around”, “The Dino Dance”, “Mambo Number 5”, “Thomas You Are The Leader”, “Roll Call Song”, “Twinkle Twinkle Little Star” and Barney’s much loved hits “If All The Raindrops”, “Mr. Knickerbocker” and “I Love You”. THE LITTLE BIG CLUB runs in Malaysia from 1-2 December 2012 at the Plenary Hall, Kuala Lumpur Convention Centre. Mmm itu yg rajin join contest, kalau menang bnyk save tu! kat London mesti bnyk children's musical shows kan, best nye!